Winnie the Pooh, the bear at the centre of the royalty battle between Shirley Slesigner and Walt Disney Company will remain at Disney. In 1983, Shirley signed an agreement with Disney giving them recording and merchandising rights in North America and Canada. Shirley’s company, Stephen Slesinger Inc. named after her husband Stephen Slesinger who took the rights from the original creator A.A. Milne. Later on Stephen Slesinger Inc. blamed Disney for breach of contract and alleged that Disney cheated them in tune of billions of dollars in royalties from Pooh games and merchandise revenues. 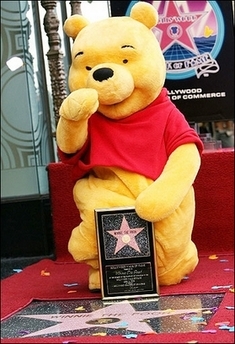 As per Reuters, Pooh related sales stood at over six billion dollars in 2006 alone. But Pati Slesinger, Shirley Slesinger’s daughter vowed to continue the fight till the end. Slesinger said she plans to make an appeal to the California Supreme Court. "Disney knows this is not over, and they know the reasons why," Pati Slesinger said. For now though it seems that Disney has had the last laugh and Winnie the Pooh and his friends shall all reside next to Mickey Mouse, Donald Duck and the rest of the Disney characters.